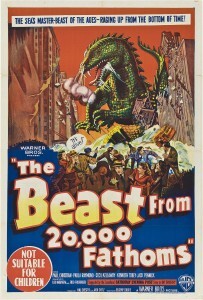 Saturday October 24 4:00 pm THE BEAST FROM 20,000 FATHOMS (1953) 80 min. D: Eugéne Lourié. 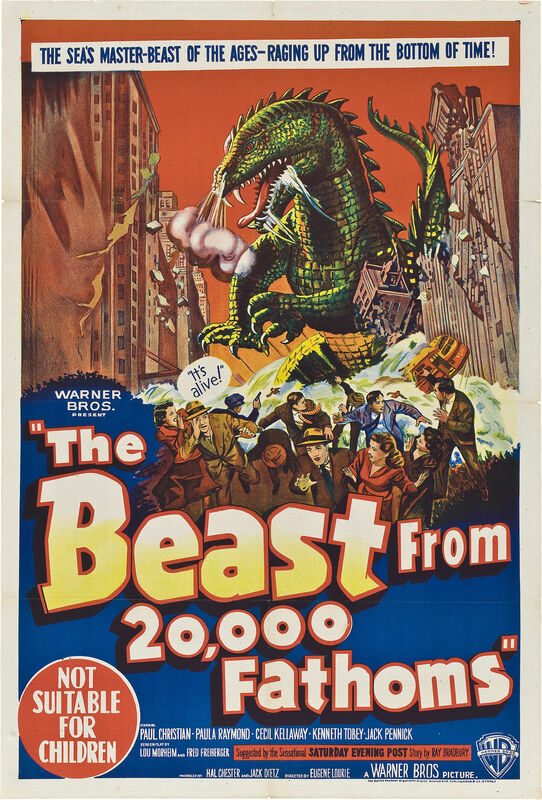 A memorable collaboration between legendary sci-fi writer Ray Bradbury and renowned stop-motion animator Ray Harryhausen results in a defrosted Rhedosaurus wrecking havoc from the North Pole to lower Manhattan. The first instance of atom bomb testing used as a plot device for dinosaur-inspired urban renewal! Starring Paul Christian, Paula Raymond, Cecil Kellaway and Kenneth Tobey.